What is Matterport 3D Photography? Matterport creates the opportunity to view spaces from anywhere. The three-dimensional camera system allows users to develop an experience like no other. Potential home buyers or renters can dive into a space without setting foot in the front door. Customers can experience the surrounds of a day spa before booking an appointment. These are just two ways Matterport can provide a realistic experience. Matterport allows for the imaging, measuring, and editing to create a 3D experience of any space. Once the experience has been created, it can be enjoyed from virtually any angle to get a true feeling and comprehension of the space. This can enable a prospective customer to view important aspects of an area, building or location without being there physically. The experience can be viewed on a computer, tablet, mobile, or even Virtual Reality equipment. How is Matterport 3D Photography Used? Beyond simply creating a 3D representation of space, Matterport functions in an array of ways and throughout a range of industries. Real estate frequently makes good use of the ability to create an immersive experience. However, it can be applied to anyone needing to communicate the look and feel of a space. Architecture and Design: Keep key stakeholders updated on progress with a 3D representation of a construction or renovation site. Home builders could keep buyers aware of how each room is coming along. 3D photography can also be used to obtain measurements of spaces. Art Installations: Show off a new gallery and put the buyer in the picture without them having to physically be there. Dining: Diners love to know what their experience might be like before committing to a reservation. 3D photography can provide them with a virtual understanding of where they will be sitting or how fantastic a view from the outdoor dining area is. Entertainment: Bring events to life by immersing viewers in the virtual experience of it all. Showcase a stage, sports, or festival in a unique way with 3D photography. Museums: Bring exhibits anywhere by creating a virtual copy of them. Provide potential museum goers the opportunity to experience an exhibit and leave them needing to visit to see it all. News: Bring your audience to the scene with 3D images of the area. Whether it be reporting or a social interest story, this technology can give viewers more depth and a better understanding. Real Estate: One of the more popular uses for Matterport 3D photography is in the world of real estate. The ability to provide a virtual tour of any property is invaluable to landlords and property sales professionals. From existing homes to commercial properties being built, virtual tours improve the chances of securing a renter or buyer. Retail: Provide your customers the opportunity to browse the store virtually and draw their interest to visiting in person. Travel: Hospitality is an enormous industry benefitting from Matterport 3D photography in big ways. Virtual tours of hotels, resorts, and cruise ships encourage vacationers to book trips. Viewers are often more likely to book travel if they can see what it looks like beforehand. What are the Benefits of Using Matterport 3D Photography? Matterport 3D photography provides endless opportunities for advertising, sales marketing, and customer acquisition. Once a 3D representation is developed, a whole new world opens for businesses. Matterport 3D photography goes far beyond simple images. It creates an immersive environment that provides viewers the feeling of being there. The imaging is of such high-quality that viewers feel they are really in the room. Explore every angle from multiple perspectives and get to know it as if you have been there. The Matterport 3D photography system scans up to 10,000 square feet. Using this technology provides architects dimensional accuracy inside of 1% and can aid the production of accurate floor plans. This system provides a true, realistic experience for viewers. The versatility provided by the Matterport 3D photography system means you can scan almost any space. This allows users to share information any way they want to and really get their message across. The applications are innumerable and available for uses in virtually every industry. Convenience and information are priceless commodities when it comes to satisfying customers. Having remote viewing access without traveling to it, from real estate to dining, is sure to please customers interested in what you have to offer, and can set you apart from your competitors. Virtual tours provide an edge that creates a palpable advantage over those who do not use them. A business that stays ahead of the technology curve is attractive to the modern customer. 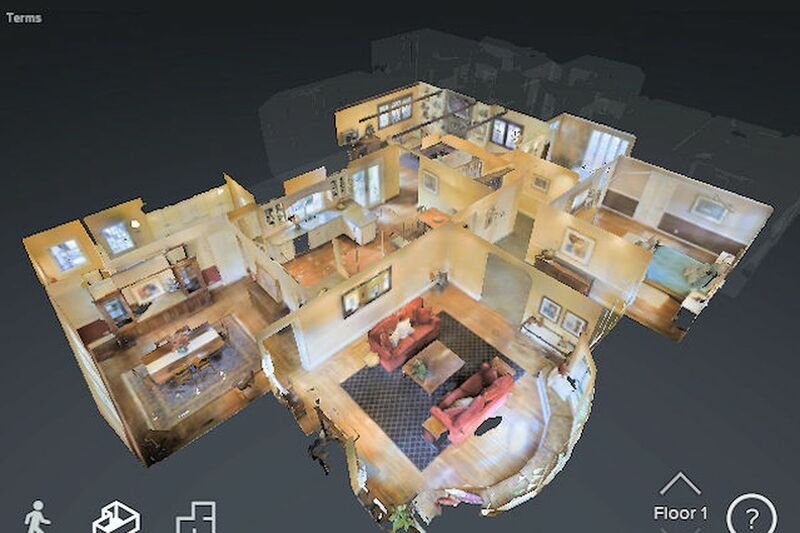 Matterport 3D photography allows you to create a virtual space and present it to the masses. It allows you to reach an audience that you might not have before by removing physical limitations like distance and time. The more people you put your business in front of, the more opportunities for success. Admittedly, there are many other 3D virtual tour technologies available today. However, Matterport 3D photography represents the cream of the crop. Here is a direct comparison with the competitors. VPiX 360° represents one of the main competitors for Matterport 3D. The system works with the DSLR cameras made by almost every major camera producer. This does offer the opportunity to use the same device for regular still photos (2D) and 3D virtual renderings. 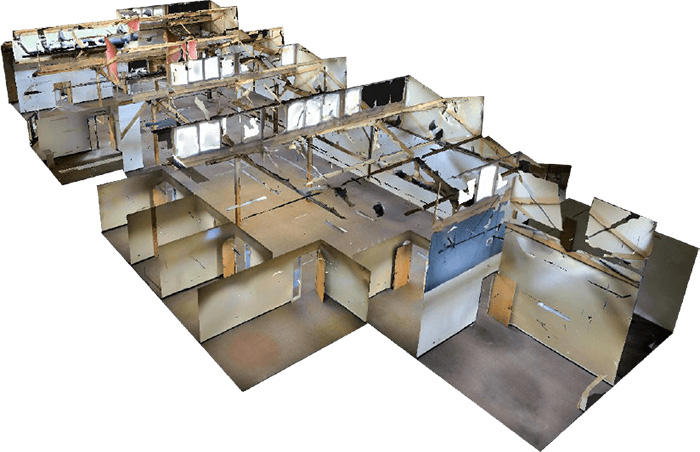 Other advantages include 2D floor plan creation and a lower price point than Matterport 3D. If you already own a great DSLR camera and are interested in creating your own virtual spaces and tours, VPiX 360° might be a good option for you. As VPiX 360° is not inclusive of a specifically designed camera like Matterport 3D is, you would need to buy equipment in addition to the system. Results are ultimately indicative of camera quality, so the end product greatly depends on your willingness to invest in the camera. Planitar creates the iGuide platform for 3D virtual tour creation. 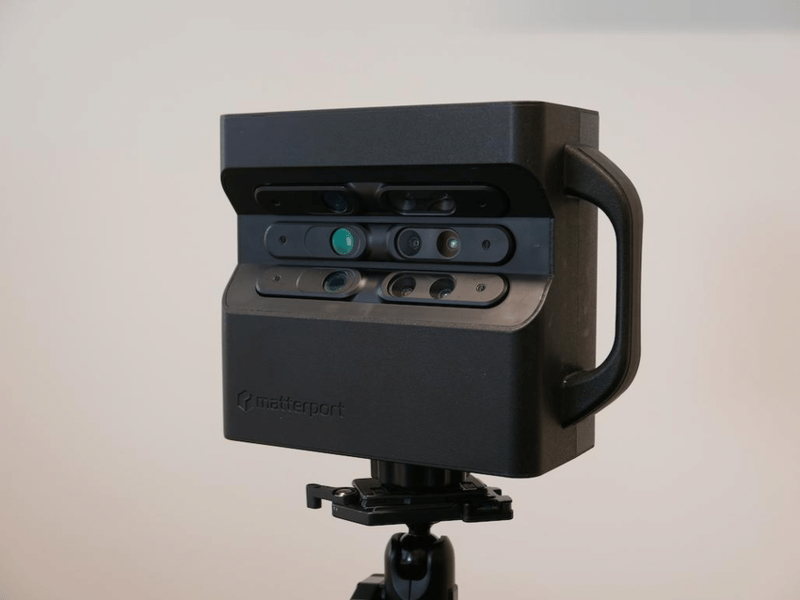 It is similar to Matterport 3D in that it provides a camera and comes in at a similar price point. iGuide is known for its quick data capture and efficiency with data uploading. With multiple scans available for each project, iGuide is popular with users. Galleries and floor plans are available as part of the iGuide package. There are many differences between Matterport 3D and iGuide. Some convenient features are missing like tagging information or hotspot creation. iGuide is also missing a key element that makes Matterport the more realistic virtual tour: occlusion. This is a feature that prevents tour viewers from becoming ghosts that can walk through walls and other objects. For those interested in an opportunity to use a DSLR camera, immoViewer may be a good option. The system sees a cost reduction, but purchasers who do not have the camera will want to keep the cost of equipment in mind. As always, the quality of the camera used makes a big difference in the end product. immoViewer is known for quick data uploads, but the amount of data is quite limited. Navigational ability is limited with immoViewer. Viewers can only experience certain angles with the use of hotspots and highlights, rather than being able to “walk” a space like Matterport 3D is capable of. InsideMaps is another system that does not include a camera in the package. Camera quality determines the quality of the product. InsideMaps captures loads of data and can take significant time to upload (12-24 hours). InsideMaps has a limited vertical view when being compared to Matterport 3D. It also lacks modification abilities like tags or changes to images. Started as a Google initiative, Project Tango was developed to attempt 3D mapping via smartphones. Tango (now known as ARCore) and Matterport 3D are not really direct competitors, as they perform somewhat different tasks. Tango allows users to scan a space with a smartphone and create a 3D model of the space. In fact, Matterport Scenes is an app that uses the Tango platform to create these 3D renderings. Scenes for Tango is similar to the full Matterport system, but they differ in certain areas. The Matterport camera system provides higher quality images and is better in big spaces. Scenes for Tango is great for quick, simple scans but the full system is better for larger productions. 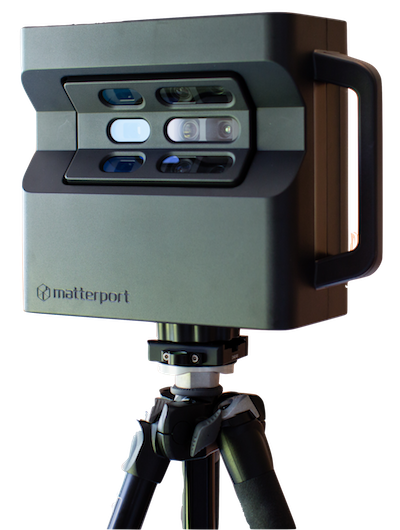 The purchase of the Matterport 3D Photography system comes with significant initial investment. Costs include the system and equipment, a method of uploading data, and a subscription to the Matterport cloud services for data processing and storage. Hiring a professional means less upfront cost but a project-based charge. If you have difficulty securing the budget for a large upfront cost or intend to do minimal projects, this option certainly makes sense. The choice is made simple by comparing the overall cost of the system and your estimated needs for individual jobs. If you feel that you will use the Matterport 3D Photography system a lot over time, finding a way to purchase the entire system is a good choice. Using Matterport 3D Photography is not an overly arduous task, but some people just do not have the time to commit to creating virtual tours. There are considerations to take regarding your personal availability and the time it takes to learn the system and create virtual tours. While Matterport 3D Photography is generally easy to use, it does take time to get the hang of it. New users often find the first few tour creations take longer than they expected. It is important that users understand that it is a system that requires some skill development. If a time commitment is something you cannot afford, consider a professional to take care of the job. This could free you up to do other things, like handle all the new clients and customers coming in! As Matterport 3D Photography features a learning curve, it can take several attempts to create a product that is representative of your standards. 3D virtual tours are only as good as the quality of the creation, and a bad one can ruin any positive returns on the investment. Hiring a professional with expertise in creating 3D environments with Matterport 3D Photography, such as ourselves, can give you confidence that the product will be of a high-quality. We take the time to understand what you are looking for and let you decide when the project is perfect. We can create a virtual tour that is sure to increase the interest in what you have to offer and get business through the door!